Discussion in 'Secondary Education' started by J. A., Apr 16, 2018. I've posted something pretty similar, but this continues to be an issue. My students (8th graders) simply do not respect my property! I've been through at least 200 pencils since January because they either do not return them, sharpen them until they're an inch long, or break them. Also, I've thrown away 8 dry erase markers (out of 32, all of which worked perfectly when I bought them a week ago) because students would either dry them out by coloring an entire dry erase board (the 9 by 13 inch ones a lot of teachers use for review games), stabbing the marker against the board and jamming the tip, or throwing the caps and losing them. Same thing with glue sticks. They throw and lose the caps, roll them all the way out and get them stuck, or stab scissors into them. And I've had one student break a pair of scissors. Some of these items were bought with instructional funds, while many were paid for out of pocket. It's hard to give consequences, because 99.99 percent of the time, they do it when I am not looking, or they must be doing it under their desks. If we didn't physically see it, we can't give a consequence at my school. I've tried "branding" my stuff with neon tape so I can easily recognize it, issuing automatic detentions for the first offense when I see a student mishandling my stuff, and immediate office referrals when they throw things. Nothing has worked. The students I suspect of doing it just say things like, "They cost like a dollar! 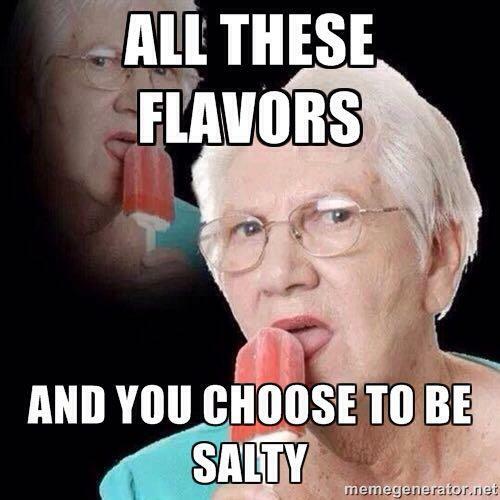 Why are you so salty about it?" and it just makes me so angry that they have no respect for someone else's items. When they treat your things that way, why do you keep supplying them? My students are told at the beginning of the year that the only thing they may touch is the pencil cup on my desk. I stock it with cheap pens and pencils along with ones they leave behind. They are welcome to use anything from that cup. If they start abusing anything in the classroom, it goes away. Period. Backroads, ms.irene, SpecialPreskoo and 2 others like this. I implemented a previous suggestion of making students donate a shoe during class when they borrow a pencil and I always get that pencil back now and most actually find their own. You could enact similar at the beginning of next year. If they lose or misuse a designated item, you have something of theirs during class. As mentioned, why do you buy these things if they destroy them? Let them go without. If you must give them pencils, buy golf pencils in bulk and let them be used. If they need to erase something and they scratch it out because they don't have an eraser, take points off. If they need to use supplies that you have not provided, they bring their own or they go without. It's called tough love and you can employ that strategy until your students have learned a little respect. If there's an emergency where students might need to run, I'd hate for them to be shoeless. You can't make people respect your stuff. You can make it so that students don't have an opportunity to destroy your stuff. Stop giving them things. Alternately, give them things that are useful but undesirable (like golf pencils). Linguist92021 and Been There like this. I agree with the others. Stop loaning out your items. quit using the dry erase boards for review. Or, only use certain items in stations and monitor that one station for misuse. I'm kind of wondering why they have the time to color the whole dry erase board. You have a few choices here: remove the supplies entirely, reduce access, or accept that they're going to be destroyed and mete them out to be shared. If they need to glue, have a glue station that you can supervise instead of passing out sticks. Alternately, pass out only so many and make them share. They need to learn that supplies are their responsibility, not yours. If you have to, tell them when the supplies run out, no more fun activities - and stick to it. IMO, what you’re experiencing is just a sign of the times. Without proper parenting, children have no sense of propriety and social etiquette. Unfortunately, their teachers and society at-large must deal with the consequences. You would be wise to follow the advice of Viola and others who recommend taking a minimalist approach. I predict that conditions won’t improve anytime soon, until they become much worse. I worked with a middle school teacher who had major items numbered (scissors, rulers, watercolors). The students were assigned a number in the beginning of the year and had to use their numbered items. If they were lost or destroyed, they were told their parents had to pay for a replacement. For the most part it worked. They seemed to care about keeping their materials in good shape. Then you get the jerks who say, "They belong to the school, not you, so what do you care?" "You gotta give us supplies to get our work done or it's YOUR fault if I get an F." "My mom ain't gonna give you any money!" They would also borrow or take w/o telling another students supplies, and sometimes purposely damage them. There was no way to really enforce accountability. It was all the "threat" and hope that it was enough. She DID NOT buy anything with her own cash for these kids. When supplies were gone, they were gone. As an art teacher, I tell kids who are disrespecting materials that art education is not craft class. We don't gotta make stuff. If they can't use materials properly, then reading and writing about art will be what we do. AnonyMS SpEd Para! BASE room aide! RTI Facilitator! Instead of a white board with dry erase marker, have those kiddos use a sheet of paper and a marker of their own. I agree with the other ideas of not lending things that aren't treated with respect. I've never heard a kid use the word "salty". Sounds like someone my grandpa would say! I agree with everyone else. Keep all of your supplies in one place to which only you have access. They should be bringing their own supplies to use. If they complain just tell them all of your supplies were ruined so there's nothing for you to lend them. It seems like they are walking all over you because you let them. "Salty" has been on the teen lingo list for several years. I use it all the time, mostly to describe myself. I teach in the lower grades, and I/the school do provide some supplies including markers. Many of my students are responsible marker users. Others aren't. Since they're all about 8 years old, I don't fuss too much other than reminding about marker behavior. I'm not placing another order with a month to go. I think we do everyone a disservice by providing all school supplies to our students. In many other countries (don't read on if it bothers you), all students beginning in kindergarten come to school with their own pencil box filled with pencil, lead sharpener, pen, marker, eraser or correcting ribbon, ruler. They learn to take personal responsibility for their belongings from day 1 and not to rely on others for such basic necessities. Where mechanical pencils are commonplace (you know, the kind that require refills of lead), teachers don't have to be concerned about unsightly lead marks on the floor or furniture because students know to use them responsibly - broken lead is immediately discarded. Strange as it may sound, it's always a joy for me just to watch students diligently go in and out of their pencil boxes to retrieve various items without ever having to bother their teacher. Yes, this is taking place elsewhere, as teachers here continue their losing battle over broken pencils and stolen supplies and personal belongings while contending with chronically low academic performance. I agree that students can very easily be trained to bring in and use their own supplies responsibly. However, I take issue with the last few words of your thread, which has nothing to do with this topic and should be discussed in a different thread, so I'll open a new thread about it. I'm not going to lie but this is why I really liked my ELL students and their families (Mexican and Panamanian) the best. Those parents actually knew how to raise their kids and I had ZERO issues with any of them! Be careful about making such candid remarks. Regardless of whether or not they reflect your true sentiments ("I'm not going to lie". ), others may find them to be somewhat offensive. Many of us may have our favorite category or ethnic group of students (I know I do!) based on what we have experienced both in and out of the classroom, but intentionally refrain from publicly expressing our preferences. Imagine how it would read if one were to substitute ELL with native English speakers, or African American students, or white students, or Korean students. Merely telling the truth does not necessarily make it socially appropriate nor suitable for public discourse, in which case a bit of discretion may be advised. Been there too! Now that I think about it in the context of your interview, that was a smart move on your part. Your comment about ELL students may well have gotten you the job! Just goes to show that there are exceptions to almost everything. I appreciate your non-defensive level-headed response! I taught bilingual ed. classes at a middle school for seven years and noticed that students from certain parts of the world were definitely more enthusiastic and enjoyable to work with - I still have fond memories of them more than three decades later!